Produced horses for 20 years for Christine and Paul Shubrook at Thundry Farm from Novice to International level. 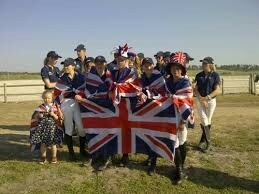 British Showjumping Accredited Coach, a Coach Educator and Assessor for UKCC qualifications and modern Apprenticeships. Corinne has been the International Team Coach since 2006 for the Children, Junior and Young Riders Showjumping squads and was subsequently appointed as the Chef d'Equipe in January 2009; she aslso sits on the Performance, Development, Training and UK Development committees for British Showjumping. Pupils included European level juniors and young riders, International event riders and Pony Club championship teams. 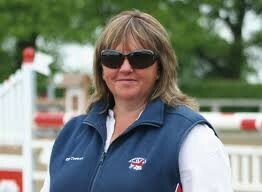 Corinne became an NVQ assessor in 2002 and an accredited coach for the British Show Jumping Association in 2003. Corinne currently holds a UKCC L3 qualification and is working towards the UKCC L4, which includes a PG Dip in Professional Practice in Sport Coaching. Corinne has also helped examine the fellowship exam for the British Horse Society. Since accepting the job of the British Junior and Young rider Team Coach in 2006 and subsequently also taking on the Children’s squad in 2007 Corinne’s achievements at European Championship level have been outstanding: 2006 - Individual gold and Team bronze (Juniors), Individual gold, Individual bronze and Team silver (Young Riders) 2007 - Individual silver and Team bronze (Juniors), Team gold and individual bronze (Young Riders), Team gold, individual gold and individual silver (Children). 2008 - Team gold and individual silver (Children), Team gold (Juniors).